The beef between Ray Allen and the Boston Celtics shows no sign of stopping no matter how much the two-time NBA champion seems to want it to. Allen’s former Celtics teammates Kevin Garnett, Paul Pierce, Rajon Rondo, Glen Davis and Kendrick Perkins ripped him on air back in May for leaving Boston to join the Miami Heat following the 2011-12 season. 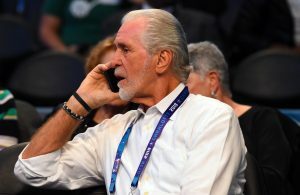 Now, it seems the Celtics faithful has followed suit, forcing Allen to take to social media to encourage people still giving him grief to get over it once and for all, reminding them that above all, the NBA is a business. 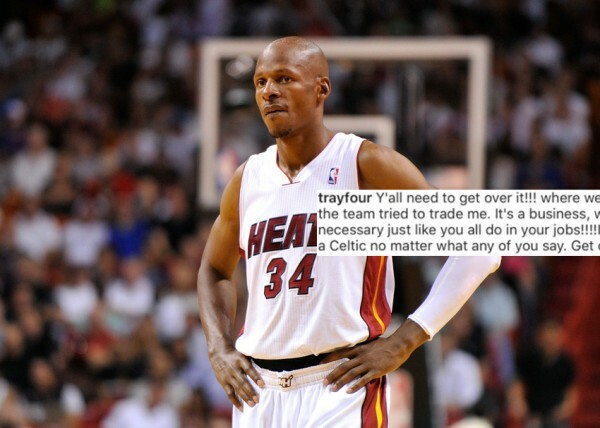 Ray Allen responds to Celtics fans criticizing him on Instagram. 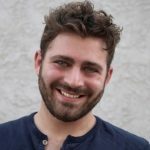 Allen has clearly gotten over the drama his move created and still looks back fondly on his years in Boston. However, it appears Celtics fans have all but forgotten the pivotal role Allen played in bringing an NBA championship to Boston in 2008. 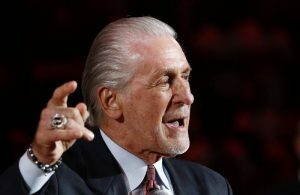 One thing is for certain, Allen will never have to worry about getting anything but love from the Miami Heat faithful. 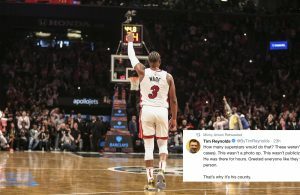 After all, it was his Game 6 shot in the 2013 NBA Finals that sent the historic game into overtime and helped the Heat win back-to-back titles.